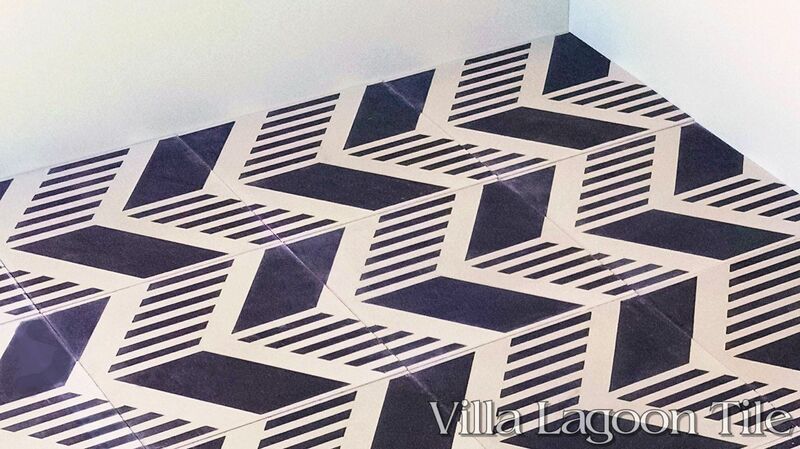 This original Villa Lagoon Tile cement tile pattern is a unique play on the classic chevron. 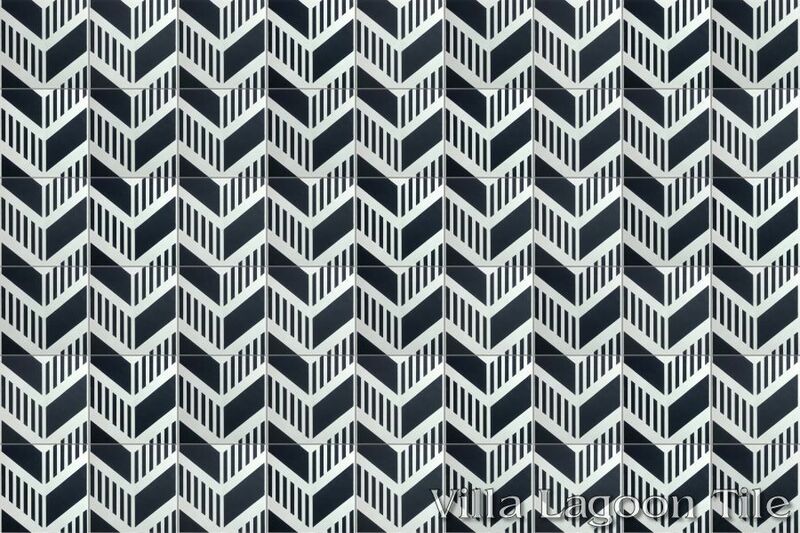 Arranging in a standard layout produces chevrons that are half-solid, half "grill", while an offset layout alternates full solid chevrons with grill chevrons. 50 square foot minimum order (small order charges may apply under 100 square feet). 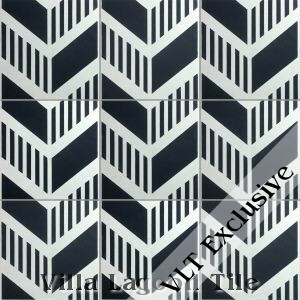 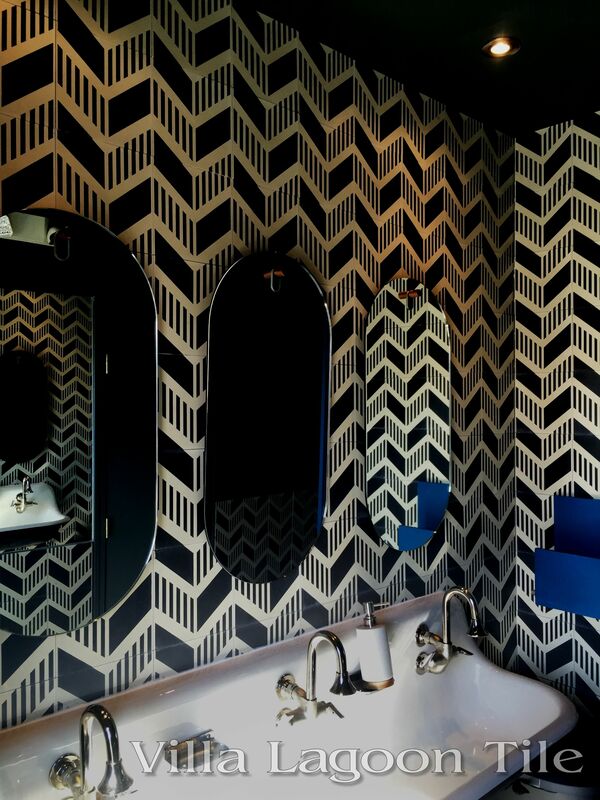 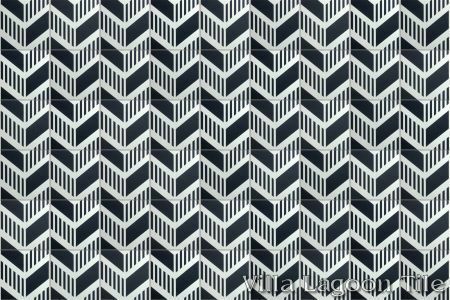 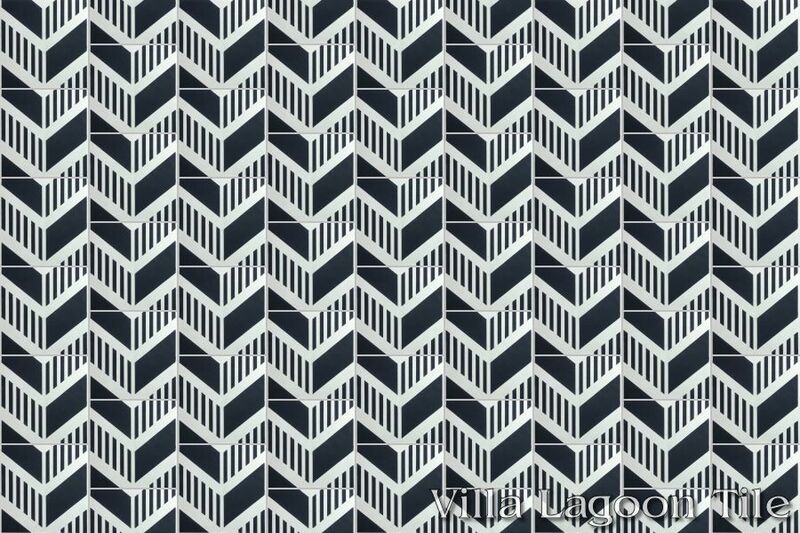 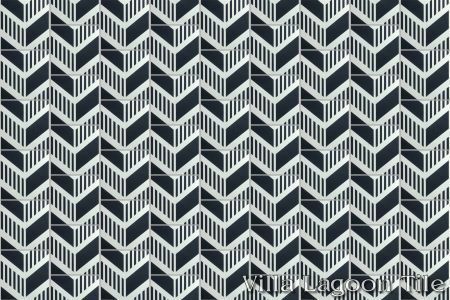 This production of Chevron Grill has sold out, but will always be available as custom tile.